Now we know why Hurricane and Superstorm Irma was geoengineered. 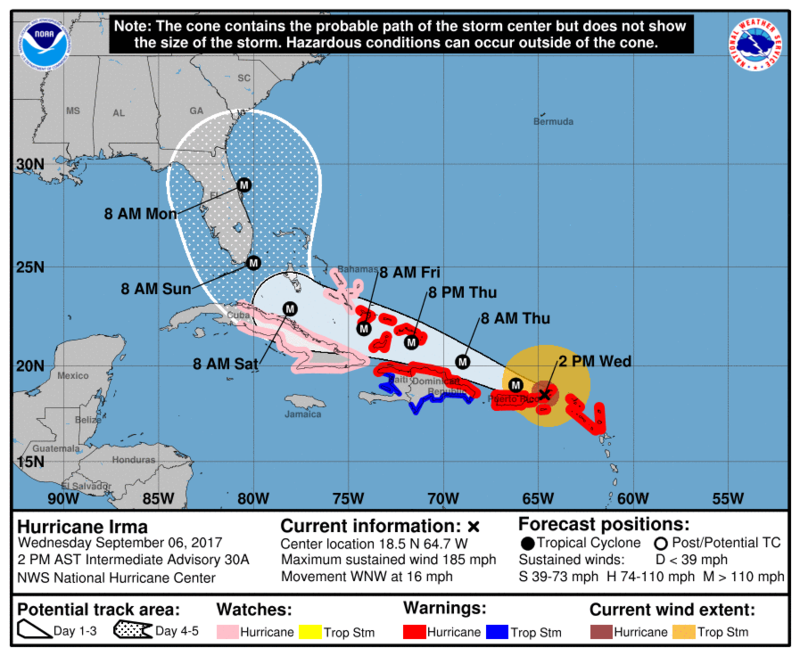 At present IRMA is on course for a potential direct hit on South Florida. Whether it makes landfall there or elsewhere, it’s clear that the geoengineers have steered this superstorm right into President Trump’s back yard. Not only are these massive manipulated storm systems dramatically ‘advocating’ the dangers of global climate change, they are dire threats aimed directly at the POTUS. The USA was the key player in the fraudulent Paris Climate Accord under Barack Obama. In fact, Obama became the biggest promoter — both at home and abroad — of the CO2-caused climate change hoax after huckster Al Gore. Then Trump unexpectedly occupied the White House as the skunk at the Paris garden party. Now the geoengineers who work for the globalists, and who bear the greatest responsibility for the climate chaos worldwide, are given orders to rain on Trump’s parade. 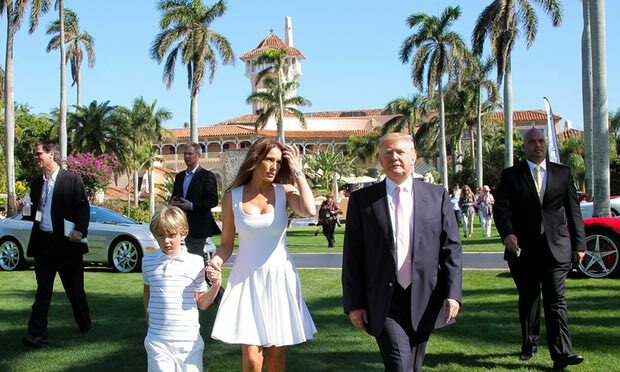 Actually they look like they’re ready to drench and wind pummel Mar-a-Lago, his posh “resort and National Historic Landmark in Palm Beach, Florida”. Whether IRMA continues on it current track toward South Florida is not really the issue anymore. The geoengineers have shown — explicitly and emphatically — that they can, and will not hesitate, to destroy a major city, a coastline or a high-density part of any state they so desire. The bottom line here is that the geoengineers act according to the commands of their globalist overlords. If Palm Beach is to be targeted, that’s where this superstorm is going…barring divine intervention, of course. Surely there is no better way for the NWO ruling cabal to send a message — loud and clear — to Trump. They already wrecked his border wall plan by geoengineering HARVEY, among his many other priorities and other campaign promises. By sending a weather invasion into Trump’s back yard they have already shown that they can wage war on his turf no matter where it’s located on the planet. And Trump has some diverse property holdings around the globe. Nevertheless, weather warfare and environmental terrorism are extremely difficult to avert or stop when in progress. And, they are almost impossible to anticipate, as the whole world saw with the audacious frankenstorm attack on Houston. Everything points to IRMA making her presence known in Trump territory to some degree. Not that she hasn’t already, but the globalists are truly livid with the ways that this POTUS has shredded the New World Order agenda. Although he has been significantly prevented from accomplishing his many political goals, what Trump has done represents major setbacks to the NWO implementation plan. And they were on a very tight schedule to begin with. For this and several other perceived ‘transgressions’ committed by Trump, some of which fell completely under the radar, the globalists will get even. They will seek every opportunity to coerce Trump to get with their nation-wrecking program. And so they have! An independent American Republic is the single biggest impediment to their planned One World Government. Patriot and nationalist Donald J. Trump is now their greatest obstacle. The globalist cabal probably hated to have to wait until hurricane season was in full swing to execute their malevolent schemes via weather warfare. Only time will tell where ultimately IRMA hits land, or miraculously fizzles out. Or passes right over Mar-a-Lago. The globalists and geoengineers have been found out like never before, and may have to abort their mission. The Alt Media have been talking about the transparent weather warfare via chemical geoengineering and HAARP since HARVEY hit Texas. Likewise, everyone who follows the alternative news media knows that IRMA was created in their geoengineering lab. Would they also have fired a cruise missile from the U.S. military arsenal into the Pentagon? Let’s see what the perps are going to do with IRMA now that they have been outed before this geoengineering crime-in-progress has even played out.